Enjoy happy and fun times today by heading to Chandigarh Fun Carnival. Bringing in non-stop entertainment in one place, Chandigarh Fun Carnival is a month long funfair offering a series of events and attractions that cater to every age group. 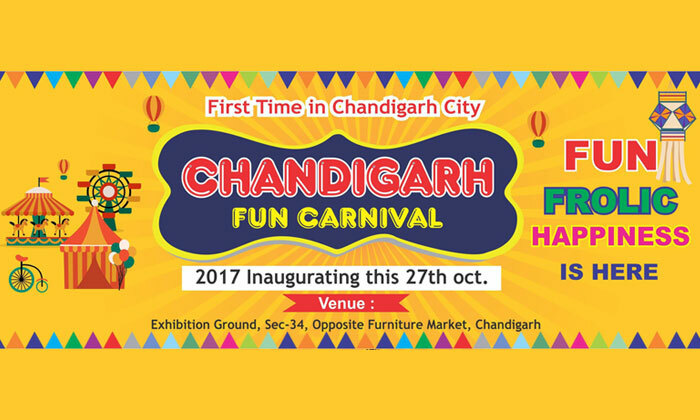 The carnival happening for the first time in Chandigarh showcases a range of fun-filled amusement rides that gets your adrenaline pumped up, a myriad of food stalls to cater to your taste buds and satiate your hunger pangs and innumerable merchandise stalls for the all shopping maniacs out there. Offering a fun spot to enjoy a leisurely break from your busy schedules, this carnival is sure to add color into your life while you enjoy some quality time with your near and dear ones here at Chandigarh Fun Carnival.